Toby Newman is joined by members of the M6—Emily Eagen, Holly Nadal, and Sidney Chen—for a special concert of music by Meredith Monk. The evening’s selections include Three Heavens and Hells (1992), a work scored for four female voices based on a text by Tennessee Reed, the eleven year old daughter of author Ishmael Reed, and Tablet (1974/1976), the first piece Monk created that allowed her to fully extend her discoveries of the voice into a group situation. The M6 is a vocal ensemble dedicated to continuing the legacy of legendary composer, singer, and director Meredith Monk. The members of the group were among the nineteen singers chosen from around the world to participate in a professional training workshop by Monk and the Weill Music Institute at Carnegie Hall in January 2006, culminating in the Meredith Monk Young Artists Concert at Carnegie’s Zankel Hall. In 2007, the M6 was established in order to continue learning Monk’s work through direct coaching with the composer herself, as well as with past and present members of her vocal ensemble. Since the majority of Monk’s work is created and taught in the oral tradition, the group is devoted to immersion in this process and believes it is vital in order to assure that her extraordinary work lives on. Individual members are also working on transcribing more of Monk’s work to help document it for future generations. Appearances have included concerts at the Whitney Museum, La MaMa, Symphony Space, the Stone, Roulette, and Issue Project Room, as well as performances and residencies at Trinity College in Hartford, Syracuse University, Bronx Community College, and Sarah Lawrence College. The M6 is Sasha Bogdanowitsch, Sidney Chen, Emily Eagen, Holly Nadal, Toby Newman, and Peter Sciscioli. Mezzo-soprano *Toby Newman*’s work spans the operatic, concert, and new music repertoire. 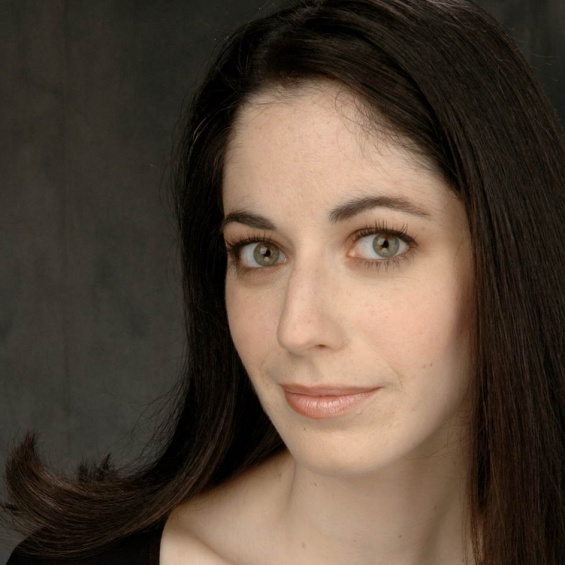 Beyond her opera career in works of Handel, Mozart, Rossini, Verdi, Holst, and Bernstein, she works regularly with Meredith Monk, singing with her on multiple recordings and in concert at Carnegie Hall as well as many other venues. She has also appeared in the world premiere of Robert Een’s opera The Escape Artist at Disney Hall in Los Angeles. The VOICE series kicked off with The Rocky Horror Opera Show (March 7), in which a quartet of opera singers performed operatic standards to live accompaniment while an audience of die-hard opera fans and general public were encouraged to dress up, sing along, dance, or do whatever they were moved to do, but normally restricted from doing. Documentation from this event is presented as part of a two-channel installation in Jeanine Oleson’s exhibition “Hear, Here” (April 23–July 6). The series also included concerts by Joseph Keckler (April 25) and Kristin Norderval (May 2).